We came up with this technique when our hamster Bingley had problems with his tear glands and so needed eye drops each night. He wouldn’t sit still, but we found that this method makes it a lot easier. 1. It is possible to do this on your own, but it’s a lot easier with two people. 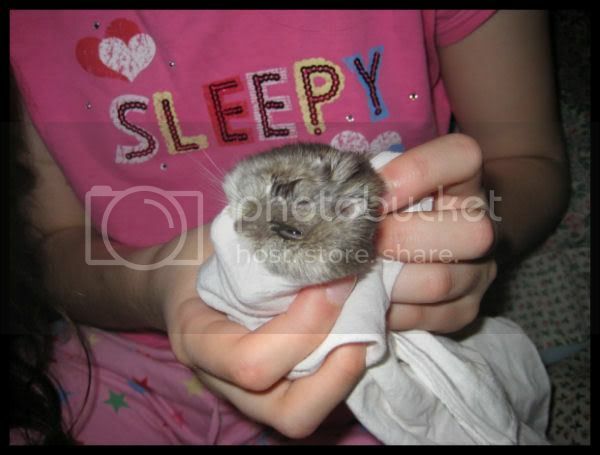 Start by placing the hamster on top of the handkerchief. 2. 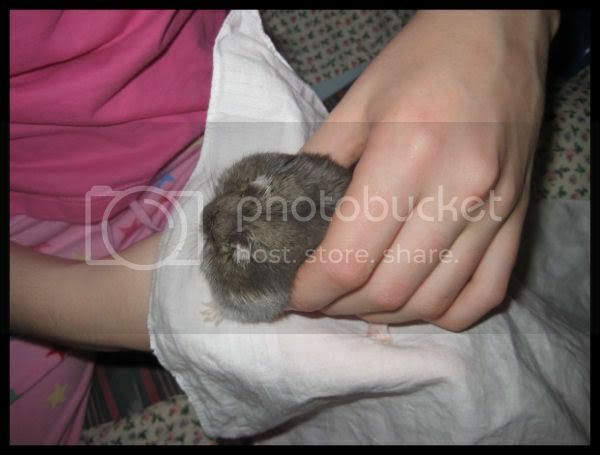 Gather the handkerchief up around the hamster tightly, so that only its head sticks out of it (we call it ‘swaddling’!). This way the ham can’t wriggle or bat at the drops with its feet. 3. Whilst holding the hamster firmly, get the second person to carefully put the drops into the hamster’s eyes. 4. Once you have done the eye (or both eyes) you can release the ham from the handkerchief. Your hamster may try and wash the drops off but most of the drops will have gone into their eyes. The same procedure can be used for eye-cream, but sometimes with cream it is better to put a drop on a cotton bud and smear it on the eye whilst the hamster is swaddled. Hope this helps you if you need to put drops in your hamster’s eyes; we’ve found it works very well. it's a good tip wrapping them in the tissue. I did that when giving oral drops and it really seems to keep them still! They usually bite at the edge of the cloth Spacemonkey which is better than biting at your fingers!! Hope it works for your little one. I will try this with Ziggy tonight! Wish I'd seen this a couple of months ago when I needed to give Boris some Eye Ointment - gah what a struggle! Mind you, I was on my own - I think any method is easier with two people than with one! I ended up just pointing, firing and smearing it in gently if it misses! Why can't they be as easy to treat as guinea pigs! It would help Toria as the swaddling would help stop her pushing the syringe away with her paws. Go for the side of the mouth sort of into the cheek rather than straight on. If she is busy eating the towel then just be quick and pop it in the side. Once the syringe tip is in don't hesitate just push the plunger.